The “artists” behind bizarre, barren, grassless rings dotting the desert of Southwest Africa have been found lurking right at scientists’ feet:termites. Known as fairy circles, these patches crop up in regular patterns along a narrow strip of the Namib Desert between mid-Angola and northwestern South Africa, and can persist for decades. The cause of these desert pockmarks has been widely debated, but a species of sand termite,Psammotermes allocerus, could be behind the mysterious dirt rings, suggests a study published today (March 28) in the journal Science. Scientists have offered many ideas about the circles’ origin, ranging from “self-organizing vegetation dynamics” to carnivorous ants. Termites have been proposed before, but there wasn’t much evidence to support that theory. While studying the strange patterns, biologist Norbert Juergens of the University of Hamburg noticed that wherever he found the dirt patches (the barren centers inside fairy circles), he also found sand termites. Filling in the GapsCredit: Image courtesy of N. JuergensFairy circles in the Marienfluss Valley, Kaokoveld, Namibia, where desert grassland transitions to Mopane savanna. Fairy circles seem to be gaps in the grassland. Juergens measured the water content of the soil in the circles from 2006 to 2012. More than 2 inches (5 centimeters) of water was stored in the top 39 inches (100 cm) of soil, even during the driest period of the year, Juergens found. The soil humidity below about 16 inches (40 cm) was 5 percent or more over a four-year stretch. Without grass to absorb rainwater and then release it back into the air via evaporation, any water available would collect in the porous, sandy soil, Juergens proposed. That water supply could be enough to keep the termites alive and active during the harsh dry season, while letting the grass survive at the circles’ rims. Mature CircleCredit: Image courtesy of N. JuergensA fully developed fairy circle with a green perennial belt (living grass plants) and a yellowish matrix (dead short-lived plants), both formed by the same species of grass (Stipagrostis ciliate). Image of Farm Dieprivier / Namib Desert Lodge, Namibia. Juergens conducted surveys of the organisms found at fairy circles. The sand termite was the only creature he found consistently at the majority of patches. He also discovered that most patches contained layers of cemented sand, foraged plant material and underground tunnels — telltale signs of sand termites. The scientist found a few other termite species, as well as three ant species, at fairy circles in areas that get rain during the summer or during the winter, but not at all the sites he studied. Grassy FoodCredit: Image courtesy of N. JuergensIn a normal dry year only the perennial belt of the fully developed fairy circles provides biomass for herbivores at Giribesvlakte, Namibia. The termite behavior provides an example of “ecosystem engineering,” Juergens wrote in the Science paper. The insects appear to be feeding on the grass roots to create the characteristic rings, the study suggests. As to why the termites would create circular-shaped patches, Juergens doesn’t say. On the EdgeCredit: Image courtesy of N. JuergensThe Marienfluss Valley, Kaokoveld, Namibia in a dry year: Plant biomass for herbivores is mainly found at the margin of the fairy circles. It is possible the termites don’t cause the fairy circles, but merely live in them. However, Juergens found the insects were present even during the early stages of patch formation, before the grass had died off on the surface. Over the termites’ lifetime, they munch on the grassy borders and gradually widen the circles. Fairy Circle EvolutionCredit: Mike and Ann Scott of the Namib Rand Nature ReserveThe smallest are about 6.5 feet (2 meters) in diameter, while the largest can be almost 40 feet (12 m) across. Eventually, plants move back in, re-colonizing the circles and leaving only slightly indented “ghost circles” behind. Going Down?Credit: a href=”http://www.shutterstock.com/gallery-8509p1.html”>Louie Schoeman |ShutterstockOver time as winds scour the bare surfaces the fairy circles form slight depressions, like the one shown here in the Namib Desert. Crop circles first began cropping up in the 1970s, sparking claims that they were created by extraterrestrials. Although two men came forward in 1991 and said that they had created the patterns as a UFO hoax, they didn’t take responsibility for all of the crop circles, leading some people to believe that perhaps something paranormal is also responsible for the strange spheres. While scientists know paranormal forces have nothing to do with crop circles, the patterns are intriguing, with some scientists trying to figure out exactly how they are made. Here, an intricate crop circle that appeared in front of the Torrechiara Castle in Parma, Italy, during the summer of 2009. Baffled bystanders explore a crop circle found in the agricultural community of Hensall in Ontario, Canada. The circle appeared in 2003, and no other crop circles have occurred in the area since. Triskelion DiskCredit: Handy Marks | public domainThis massive 780-foot (238 meters) crop circle appeared in 2001 in the remote area of Milk Hill in Wiltshire, England. The elaborate design is composed of 409 circles that form a pattern called a double, or six-sided, triskelion, which is a motif consisting of three interlocking spirals. An aerial view of a crop circle near Starnberg in southern Bavaria, Germany, taken on Aug. 9, 2006. A crop circle located near the hills of Sutton Bank in North Yorkshire, England. This aerial shot was taken on July 9, 2010, and the photographer, Ash Balderson, told LiveScience that the pattern was made over the weekend of July 3 and 4, 2010. The view is from the top of Sutton Bank, looking back down into the valley. The crop circle of Sutton Bank in North Yorkshire, England, seen from a different angle. People inspect crop circles within a golden wheat field in Switzerland. The photo was taken on July 29, 2007. This blossom-shaped crop circle appeared in June 2008 in Diessenhofen, Switzerland. Another triskelion crop circle. The symbol can be used to represent cycles, progress or competition. This design of three flying birds was created on Aug. 3, 2003, in the county of Wiltshire in southern England. The birds, which resemble swallows, have ever-diminishing circles trailing behind their wing tips. with the rare Vel-negative blood type can die if they receive a Vel-positive transfusion, and now scientists know why. The mystery began in 1952, when a 66-year-old woman in New York, sick with colon cancer, received a blood transfusion and unexpectedly suffered from a severe and potentially fatal rejection of the blood. Investigators referred to her, using her last name, simply as Patient Vel. Most people in the world are Vel-positive, but soon investigators discovered that Mrs. Vel was not alone; more than 200,000 people in Europe and more than 100,000 in North America share the Vel-negative blood type. For the 1 in 2,500 people of European descent with the rare blood, receiving a Vel-positive transfusion can easily result in kidney failureand death. Vel-negative blood is one of the most difficult blood types to supply in many countries. This is partly due to its rarity, but also to the dearth of any systematic way to screen for Vel-negative blood from donors. Previously, to identify whether someone was Vel-negative or Vel-positive, doctors had to use antibodies generated by the few known Vel-negative people after their bodies had rejected transfused blood. Many hospitals and blood bankslack access to these antibodies and thus any way to test for Vel. The Shroud of Turin, an icon of faith and controversy among Christians, is back in the news. The linen cloth, allegedly the burial shroud of Jesus, was closely examined in 1988 in laboratories in Switzerland, England and the United States using carbon-14 dating techniques, the Telegraphreports. Those examinations of the shroud — which bears the image of a man’s face and torso — dated the cloth from 1260 to 1390, supporting claims that it’s merely an elaborate medieval hoax, as Jesus’ life is thought to have come to an end in A.D. 33. Some believers, however, insisted that the linen fibers used in the 1988 examinations were not from the original shroud, but rather from a portion of the cloth that had been repaired after suffering fire damage in the Middle Ages. Now, scientists at the University of Padua in Italy have used infrared light and spectroscopy (the study of a physical object’s interaction with electromagnetic radiation) to examine the shroud and found that it’s actually much older, the Telegraph reports. The Shroud of Turin is said to be the cloth that covered Jesus’ body after the crucifiction. Previous examinations that dated the shroud to the Middle Ages mesh with historical records, which don’t start mentioning the cloth until that time. But some researchers believe the shroud is older. Thomas de Wesselow, author of “The Sign: The Shroud of Turin and the Secret of the Resurrection” (Dutton Adult, 2012), argues that medieval artists did not paint in photorealistic style, and that a forged shroud created in the Middle Ages would be an anachronism. That doesn’t mean the shroud is evidence of a miracle, however, de Wesselow told LiveScience last year. He believes natural chemical reactions caused by a decomposing body and annoiting oils could have created the body imprint on the shroud, which may have then been used as evidence of Christ’s resurrection. For the first time in 30 years, the shroud will be shown on television this Saturday (March 30), the Guardian reports. Before leaving the papacy, Benedict XVI approved a special broadcast of the shroud to be held at the Turin Cathedral, where the cloth is preserved in a climate-controlled case. And for those who want an even more intimate examination of the cloth, a new mobile app, Shroud 2.0, was just released on Good Friday (March 29), Zenit.org reports. Designed in collaboration with the Museum of the Holy Shroud and the Archdiocese of Turin, Shroud 2.0 synthesizes 1,649 high-definition photographs into a single 12-billion-pixel image. An Android version is also being developed, Zenit reports. The first head of the Catholic Church was St. Peter. Peter, whose original name was Simon, was one of Jesus’ 12 apostles, according to John Julius Norwich in his book “Absolute Monarchs: A History of the Papacy” (Random House, 2012). He preached throughout Asia Minor before coming to Rome, where he lived for 25 years, whenEmperor Nero Augustus Caesar crucified him. Legend has it that he sought to be crucified upside down, deeming himself too low to share in the same death as Jesus. Though now considered the first pope, he never officially took that title during his lifetime. Pope Benedict XVI made headlines when he announced he was stepping down — something no pope has done since the Middle Ages. While that’s big news, the Catholic Church has seen much more dramatic upheavals. The first pope to step down was Pontian, who headed the church from A.D. 230 to 235. Unlike many of his predecessors, Pontian wasn’t martyred, but rather was sentenced to hard labor in the Sardinian mineral mines by Emperor Maximus the Thracian who was persecuting Christians, particularly heads of church. The pope voluntarily abdicated to prevent the church from having a power vacuum, according to the Catholic Encyclopedia. Pope Formosus headed the Catholic Church from A.D. 891 to 896, and his reign was marked by political battles and infighting. He was excommunicated about 20 years prior to his reign, but then later absolved. After his death, hiscadaver was exhumed, put on trial, and judged to be unworthy of the papacy. All of his papal edicts were deemed invalid, the fingers he used to make sacraments were ripped off, and he was tossed into the Tiber River. Pope Leo I, who reigned from A.D. 461 to 468, may have been most famous for work he did before ascending to the papacy: The former aristocrat and then bishop convinced the feared Attila the Hun not to sack Rome. It’s possible Leo offered Attila a pile of loot, or the warlord used the meeting as an excuse to turn back, given his own strategic concerns. The next hundred years was rough for the Catholic Church, with persecution of Christians and martyrdom for several of the church heads. But in A.D. 313, Emperor Constantine officially put an end to Christian persecution. Pope Sylvester I was the first pope to live in this less dangerous world, but when Constantine arranged the Council of Nicea to sort out official Christian doctrine, Sylvester chose to sit it out, sending underlings instead, according to “Absolute Monarchs: A History of the Papacy.” The Nicene Creed is now considered the first official statement of belief for Christians. The next Benedict, Benedict VI, also faced an ignominious end to his reign: When King Otto died in 974, Benedict VI was imprisoned and put to death by his antipope successor. Another Benedict, Pope Benedict IX, had three runs at the papacy. The ne’er-do-well ascended to the highest office in 1032 as a result of family connections at the tender age of 20, according to the Catholic Encyclopedia. The ruler reportedly lacked all moral balance and led a dissolute life. In 1044, the city of Rome elected an antipope (a second pope). Benedict IX drove out the antipope, but then stepped down — only after selling the papacy to yet another priest. Before he died, he seized the highest office one more time, but Benedict IX’s final stint was short lived. Many of the men who have been chosen for thehighest office didn’t get a chance to do much with it. Pope-elect Stephen was elected in A.D. 752, but died just a few days later, without being consecrated into office. Pope Damasus II ascended to the papacy in 1048, after several political squabbles, but passed away just 23 days later. Celestine IV, who was elected in 1241, died just 16 days later — too early for his coronation. And Pope Urban VII, at 12 days in A.D. 1590, was the shortest-reigning pope in the Catholic Church’s history. The Catholic Church has also had several periods where no pope reigned. These gaps, known as interregnums, usually occurred when the cardinals who vote for the pope were deadlocked. The last pope to abdicate, Pope Gregory XII, was elected in 1406, more than 600 years ago. A man noted for his piety, he was originally elected to end the schism that occurred after Pope Innocent VII died, according to the Catholic Encyclopedia. Gregory XII was one of three popes to rule at the time, and the ensuing chaos must have convinced him it was time to quit. He eventually convened a council to sort out the mess, and abdicated in 1415. 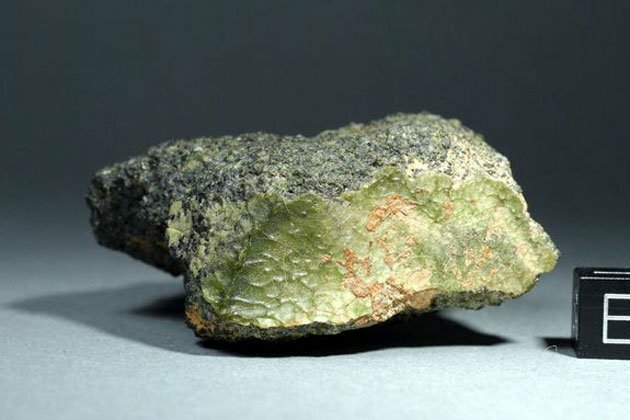 The green rock found in Morocco last year may be the first known visitor from the solar system’s innermost planet, according to meteorite scientist Anthony Irving, who unveiled the new findings this month at the 44th annual Lunar and Planetary Science Conference in The Woodlands, Texas. The study suggests that a space rock called NWA 7325 came from Mercury, and not an asteroid or Mars. Irving thinks that the meteoritewas created and eventually ejected from a planet or other body that had flowing magma on its surface at some point in its history. Evidence suggests that the rock could have been formed as “scum” on the top of the magma, Irving said. NWA 7325 has a lower magnetic intensity — the magnetism passed from a cosmic body’s magnetic field into a rock — than any other rock yet found, Irving said. Data sent back from NASA’s Messenger spacecraft currently in orbit around Mercury shows that the planet’s low magnetism closely resembles that found in NWA 7325, Irving said. Messenger’s observations also provided Irving with further evidence that could support his hypothesis. Scientists familiar with Mercury’s geological and chemical composition think that the planet’s surface is very low in iron. The meteorite is also low in iron, suggesting that wherever the rock came from, its parent body resembles Mercury. While Messenger’s first extended mission just finished, the team has put in a request to continue researching the planet with the orbiter for the next two years. If the mission is extended until 2015, the science returned by the spacecraft could help further validate or invalidate Irving’s ideas about the origin of the meteorite.Although finding meteorites on Earth that came from Mercury is less likely than finding Martian meteorites, it could be possible, Irving said. LONDON (Reuters) – British scientists have developed a new vaccine against foot-and-mouth diseasethat is safer and easier to manufacture, an advance they believe should greatly increase production capacity and reduce costs. The technology behind the livestock product might also be applied to make improved human vaccines to protect against similar viruses, including polio. The new vaccine does not require live virus in its production – an important consideration as foot-and-mouth disease (FMD) is extremely infectious and vaccine facilities handling virus samples are difficult to secure. “It spreads like wild fire,” said David Stuart, a professor of biology at the University of Oxford, who led the research. A 2007 outbreak of FMD in southeast England, for example, was traced to a nearby vaccine site. The same facility, ironically, is home to some of the researchers behind the new vaccine. This means the vaccine can be produced without expensive biosecurity and does not need to be kept refrigerated. “One of the big advantages is that since it is not derived from live virus, the production facility requires no special containment,” Stuart said. Current standard vaccines are based on 50-year-old technology, although U.S. biotech company GenVec last year won U.S. approval for a new one. The purely synthetic British vaccine has so far been tested in small-scale cattle trials and found to be effective. Stuart said the research team from the universities of Oxford and Reading and two state-funded bodies – Diamond Light Source and the Pirbright Institute – would now conduct larger tests while discussing the vaccine’s commercial development. “We are talking to a potential commercial partner,” Stuart told Reuters, adding that it would probably take around six years to bring the new vaccine to market. He said it was too early to give an indication of how much the vaccine would cost. He declined to name the company involved but said it was not Merial, the animal health division of Sanofi that shares Pirbright’s site in southeast England. Stuart and his colleagues were able to produce empty protein shells to imitate the protein coat that surrounds the FMD virus using Diamond’s X-ray system to visualize images a billion times smaller than a pinhead. The same approach could in future be used to make empty shell vaccines against related viruses such as polio and hand-foot-and-mouth, a human disease that mainly affects infants and children, the researchers said.